Demand for pharmaceutical sales representatives will likely continue to shrink in the near future, driven down by industry mergers; the expiration of blockbuster drug patents; and a shift toward flexible, regional, specialized sales teams, experts say. “Net demand is going down and we don’t know when that trend will change,” says Chris Wright, managing principal for the global pharmaceuticals practice at marketing consulting firm ZS Associates based in Evanston, Illinois. One of the biggest changes taking place in the US pharmaceutical sales job market is a move toward a wider product bandwidth for pharma sales pros. The best pharmaceutical sales reps can talk about a greater variety of products than in the past. They’re flexible, instinctive and take a more on-the-spot approach, while staying within the bounds of what they can legally discuss, Wright says. “It’s tricky for a person already in the industry to claim that they have this ability, because it’s probably been driven out of them by their managers,” he says. To show you have this skill during a pharma sales job interview, talk about a time when you adjusted your sales tactics, perhaps by leaving a podcast for a busy doctor who was tuning out your presentation. Another strategy for making yourself more appealing is to become an expert on managed care, long-term care, a particular treatment area or physician reimbursement, says Kevin Carroll, a partner with Heritage Partners International, a New Haven, Connecticut, executive search firm for the life sciences industry. “I don’t predict a happy career for reps who just sell in primary care for a long time,” Carroll says. If you have a healthcare degree (especially a PharmD), and think you can shift your mind-set from a pharma sales job to one with a more clinical focus, consider a lateral and/or advanced move into a field-based medical-liaison role. To transfer your pharmaceutical sales knowledge to this scientifically skilled niche, pitch potential employers on your knowledge of the business side of healthcare and your desire to return to your clinical roots. Salaries for field-based medical personnel can range from $95,000 to $145,000. Bonuses can add another 10 percent to 20 percent depending on how well your company does overall, rather than your individual sales, she says. You could completely retool your career by using your pharma sales skills in a related healthcare field. If you’re a real closer, try the hard-good medical-equipment field, where being able to ask for the sale is important. Typical base salary and bonus run $180,000 a year on average, but can go as high as $400,000 to $600,000 if you can really sell stents or replacement knees and hips, Carroll says. Selling medical diagnostics to physicians’ offices can be an easier transition from a pharmaceutical sales job because it’s a softer sell than medical devices -- doctors order tests, but insurers typically pick up the bills. If one of these options sounds promising, get moving now rather than waiting, especially if you’re in a pharma sales job that’s taken the brunt of industry layoffs -- calling on family practitioners as part of a traditional sales team. “Companies don’t want to hire unemployed people,” Carroll says. Learn more about biotechnology careers. 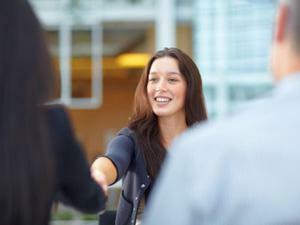 Learn more about sales careers.